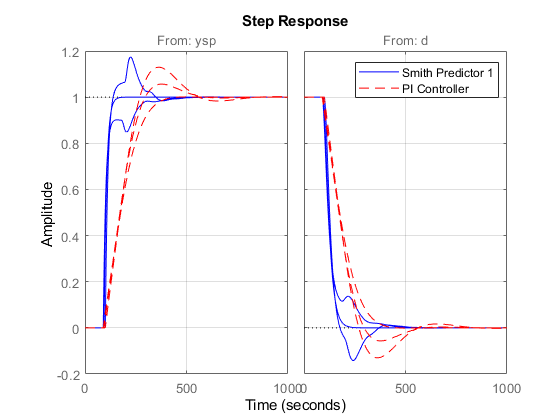 This example shows the limitations of PI control for processes with long dead time and illustrates the benefits of a control strategy called "Smith Predictor." 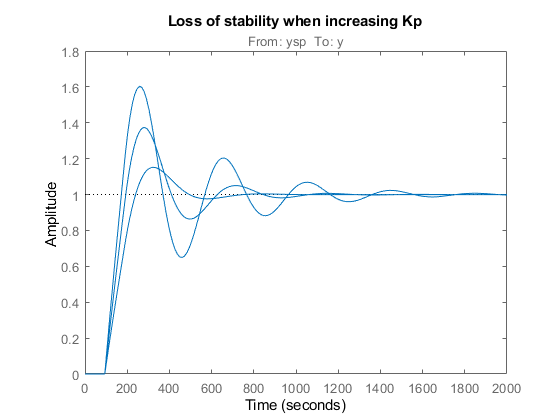 Note that the delay is more than twice the time constant. This model is representative of many chemical processes. 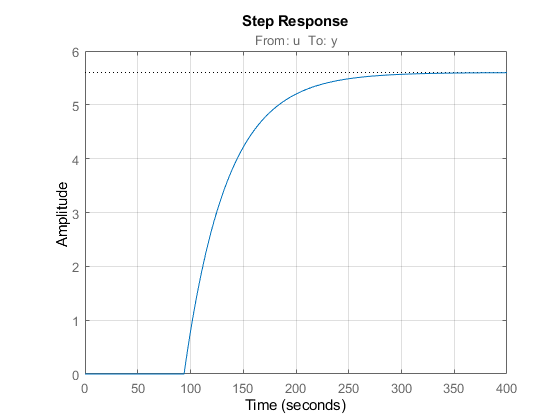 Its step response is shown below. 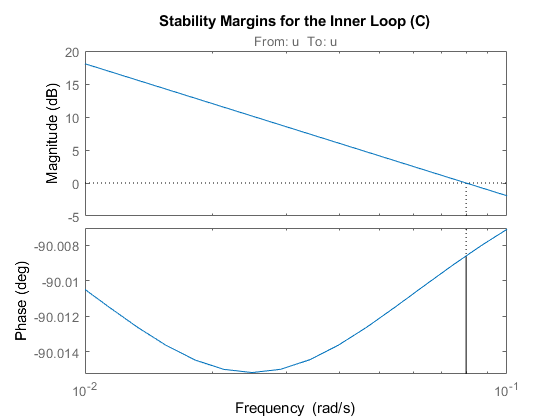 Proportional-Integral (PI) control is a commonly used technique in Process Control. The corresponding control architecture is shown below. The performance of the PI controller is severely limited by the long dead time. This is because the PI controller has no knowledge of the dead time and reacts too "impatiently" when the actual output y does not match the desired setpoint ysp. Everyone has experienced a similar phenomenon in showers where the water temperature takes a long time to adjust. There, impatience typically leads to alternate scolding by burning hot and freezing cold water. A better strategy consists of waiting for a change in temperature setting to take effect before making further adjustments. And once we have learned what knob setting delivers our favorite temperature, we can get the right temperature in just the time it takes the shower to react. 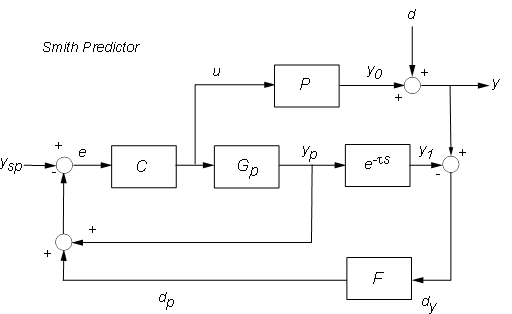 This "optimal" control strategy is the basic idea behind the Smith Predictor scheme. 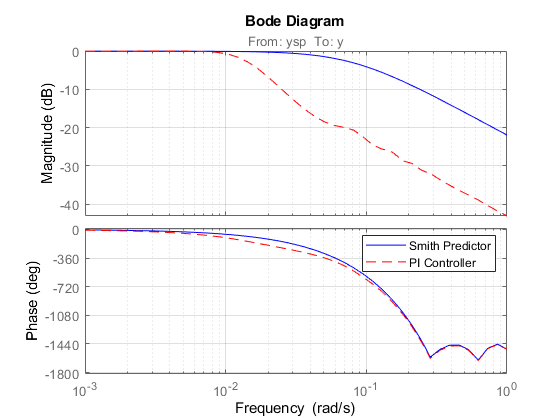 The Smith Predictor control structure is sketched below. 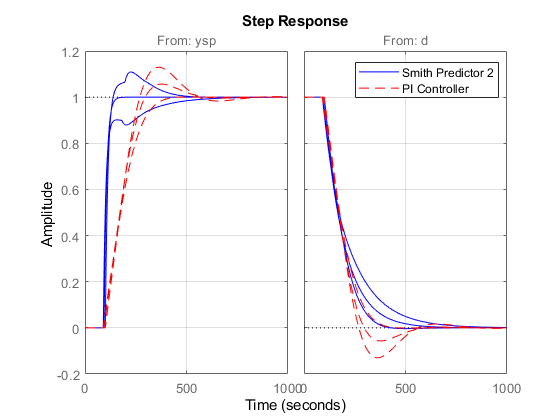 The Smith Predictor uses an internal model Gp to predict the delay-free response yp of the process (e.g., what water temperature a given knob setting will deliver). It then compares this prediction yp with the desired setpoint ysp to decide what adjustments are needed (control u). 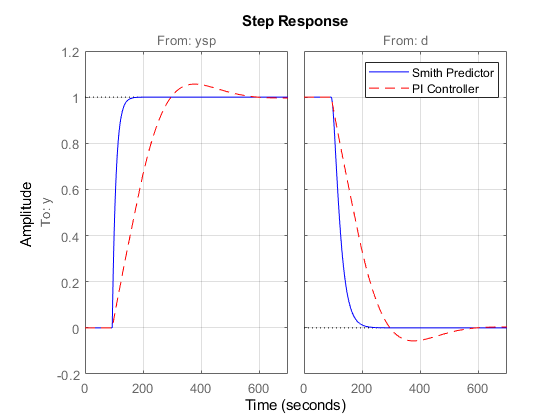 To prevent drifting and reject external disturbances, the Smith predictor also compares the actual process output with a prediction y1 that takes the dead time into account. The gap dy=y-y1 is fed back through a filter F and contributes to the overall error signal e. Note that dy amounts to the perceived temperature mismatch after waiting long enough for the shower to react. 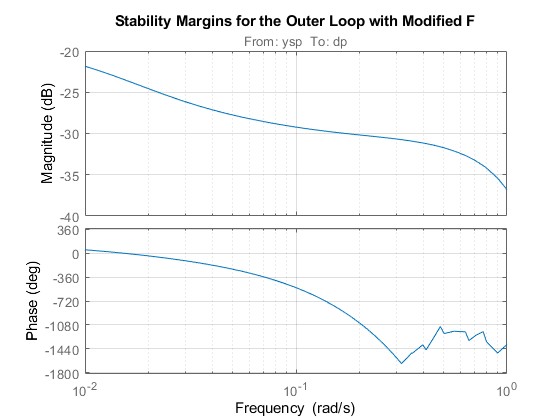 For F, use a first-order filter with a 20 second time constant to capture low-frequency disturbances. For C, we re-design the PI controller with the overall plant seen by the PI controller, which includes dynamics from P, Gp, F and dead time. 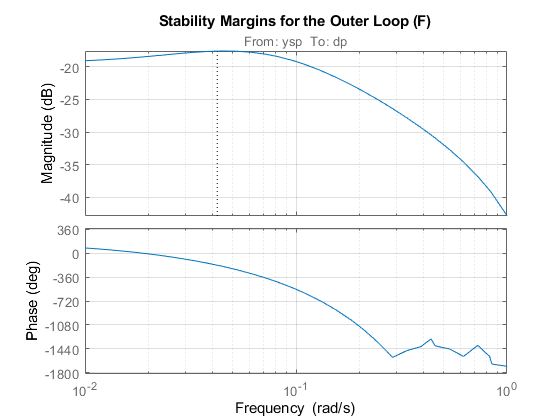 With the help of the Smith Predictor control structure we are able to increase the open-loop bandwidth to achieve faster response and increase the phase margin to reduce the overshoot. 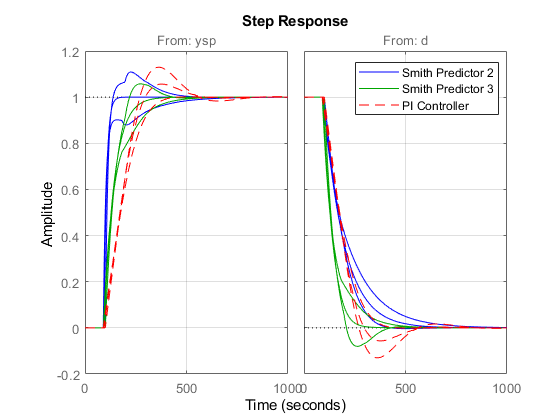 The Smith Predictor provides much faster response with no overshoot. 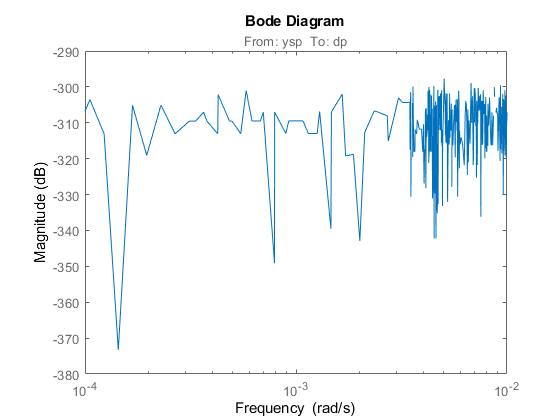 The difference is also visible in the frequency domain by plotting the closed-loop Bode response from ysp to y. 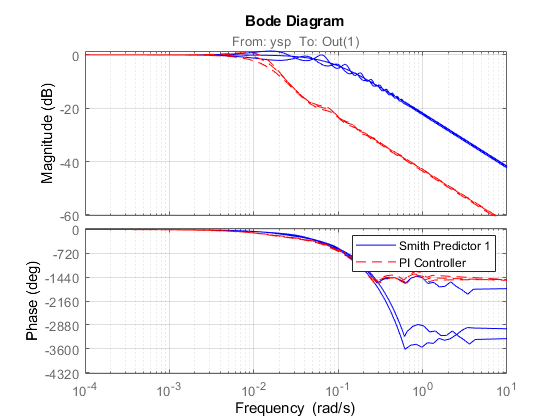 Note the higher bandwidth for the Smith Predictor. matched the process model P exactly. 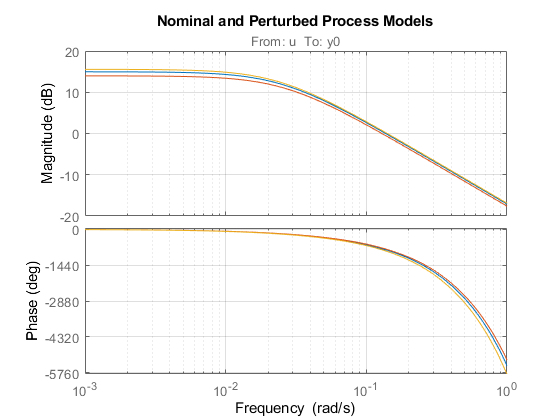 In practical situations, the internal model is only an approximation of the true process dynamics, so it is important to understand how robust the Smith Predictor is to uncertainty on the process dynamics and dead time. 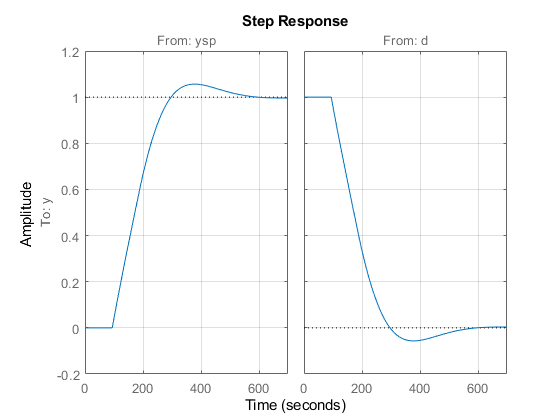 The modified design provides more consistent performance at the expense of a slightly slower nominal response. 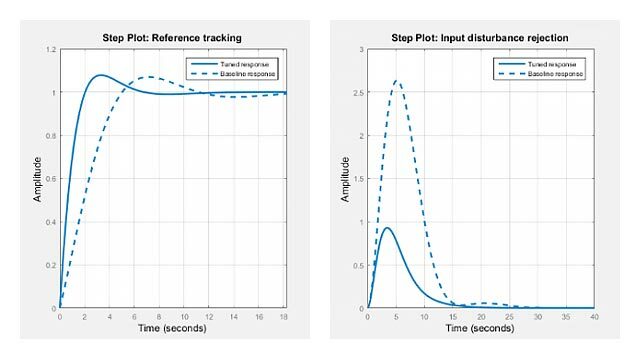 This comparison shows that our last design speeds up disturbance rejection at the expense of slower setpoint tracking.